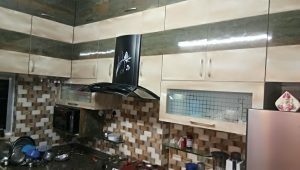 Here you are looking for Interior designing ideas for Kitchen and I am aggressive to show my skill through the words. The kitchen is the most used in each and every house. A backsplash and weathered oak island feel sleek and awesome in a kitchen. Moroccan tiles add a bright pop of blue to breakup all the wood. The exposed wood beams in the ceiling also give it a farmhouse vive. Blue and white make the statement but still feels classic. The modern kitchen design always seems to be popular. It allows the user to continually redesign and perfect their environment as their tastes developed. It should be attractive enough for shining. A modern kitchen is dynamic with clear, sharp lines and smart ideas for blending storage and good looks. A modern kitchen is an integral part of a well designed home. Spaces are the great factor for kitchen layout or designing. 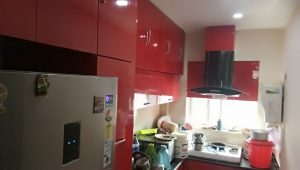 That is why tricky design should be followed for kitchen designing. There should be main kitchen area as well as the main utensils area and wash basin area etc; maintaining all of these a kitchen has to be designed in a proper manner. The workshop is the most important surface in any modern kitchen. There are plenty of materials that can be used for the workshop which combine this functionally with physical beauty. The minimal kitchen style might be stripped down and functional. Rustic style kitchen are always popular and take their inspiration from history and tradition, seeking to create warm, homely spaces for cooking and socializing. Industrial style kitchen always follows the structure of a 5 star hotel kitchen design set up. 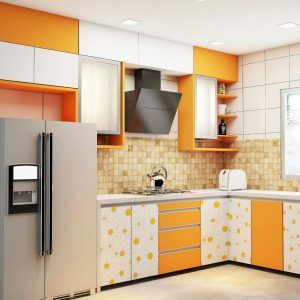 These are the different styles of designing ideas follows for kitchen designing. WEST INTERIOR designer offers you end to end solutions for interior design services for kitchen. So if you need any assistance just go through our office address along with our phone number.